November 17, 2018 | North Straub Park | 6:00 p.m. till 11:00 p.m.
All reserved seating options are guaranteed seating and reserved for the entire evening. 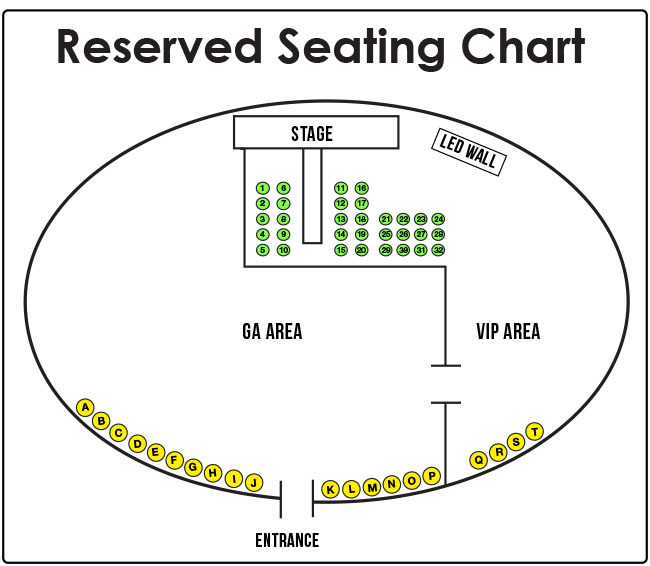 Reserved seating options only available to purchase till Friday November 16, 6:00pm. Each General Admission ticket includes admission to the event. Enjoy all the entertainment throughout the evening and access to cash bar and food. Limited sofas, daybed and couches are available first come first serve. Purchase price includes private lounge area and 4 General admission tickets. Each ticket includes admission to the event, access to cash bar and food. Includes a 10 x 10 lounge area with 4 egg lounge chairs, table and lighting. Important: All reserved seating options are sold out. Single VIP tickets are still available. It entitles you to complimentary food, desserts, coffee, alcoholic and non-alcoholic beverages throughout the evening in the secured VIP lounge area. Limited sofas, daybed and couches are available first come first serve. Extra chairs will be available however you can bring your own lawn chair. Parkshore Grill and 400 Beach seafood & tap house will provide al fresco dining offering signature items cooked on-site. They will also offer a wonderful selection of food for sale to the general public throughout the night. Full espresso/cappuccino bar provide by Kahwa Coffee. VIP restroom trailer available. 1-20 DAYBED: $390 Sold Out! 21-24 SUITE FOR 4 PEOPLE: $690 Sold Out! Purchase price includes Private Suite, 4 VIP admission tickets with Chillounge Night furniture. It entitles you to complimentary food, desserts, coffee, alcoholic and non-alcoholic beverages and one bottle of Champagne throughout the evening in the secured VIP lounge area. VIP restroom trailer available. 25-32 SUITE FOR 6 PEOPLE: $950 Sold Out! Purchase price includes Private Suite, 6 VIP admission tickets with Chillounge Night furniture. It entitles you to complimentary food, desserts, coffee, alcoholic and non-alcoholic beverages and one bottle of Champagne throughout the evening in the secured VIP lounge area. VIP restroom trailer available. Q-T CABANAS: $590 Sold Out! Purchase price includes Private Cabana and 4 VIP admission tickets. Includes a 10 x 10 tent with 1 table and 4 chairs. It entitles you to complimentary food, desserts, coffee, alcoholic and non-alcoholic beverages throughout the evening in the secured VIP lounge area. This event was designed to provide equal opportunity for enjoyment by all participants. If you would like to request any particular aids or services pursuant to disability laws, please contact the event planner at 941-448-0995 or City of St Petersburg Community Affairs Division at 727-893-7345 or 727-892-5259 TDD/TTY.